…when you realize you have to take a picture with the guy that just helped steal your sacred land. I feel so horrible for these tribal leaders. 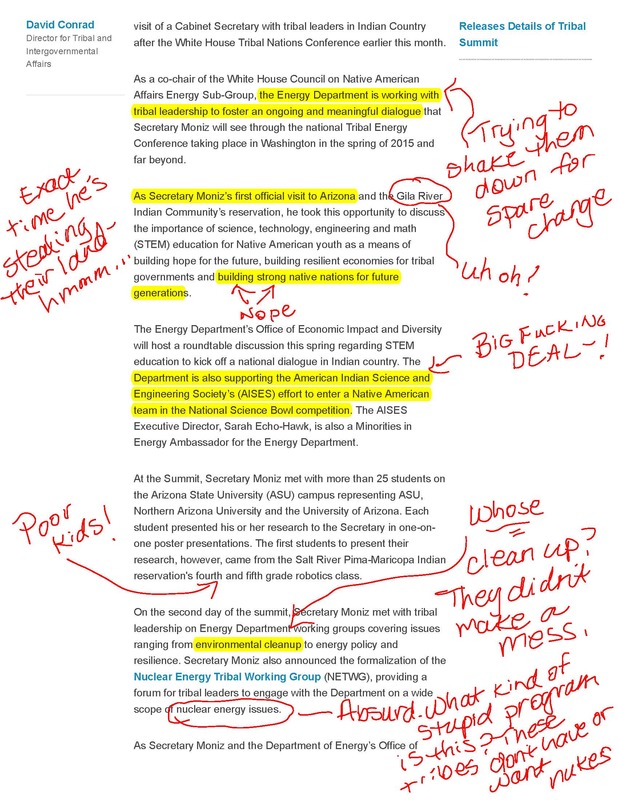 I don’t know if they realize that the Department of Energy played a huge part in the stealing of the Apache tribal lands in Arizona which was coincidentally being formalized in Congress just as this “first ever” meeting with the Department of Energy Secretary Ernest Moniz was taking place. Anyone else find it odd that he’s in Arizona, meeting with native Americans, throwing around grandiose ideas for their children’s future as he’s simultaneously helping the government steal their sacred, and previously protected site? 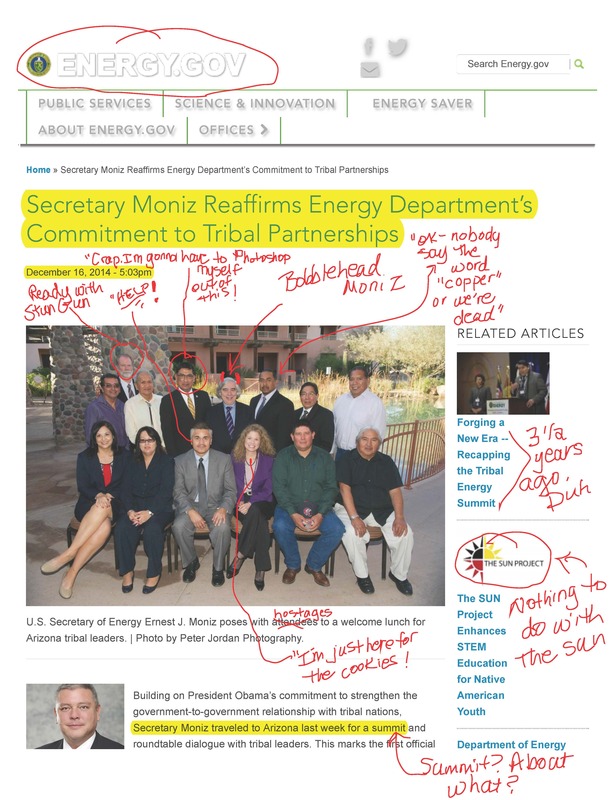 The Energy website is playing up some program which bizarrely incorporates native American tribes and nuclear energy. I know that if I were part of a tribe in Arizona, I would start stocking up on lead underwear. I think a picture truly is worth a thousand words and this one is no exception. 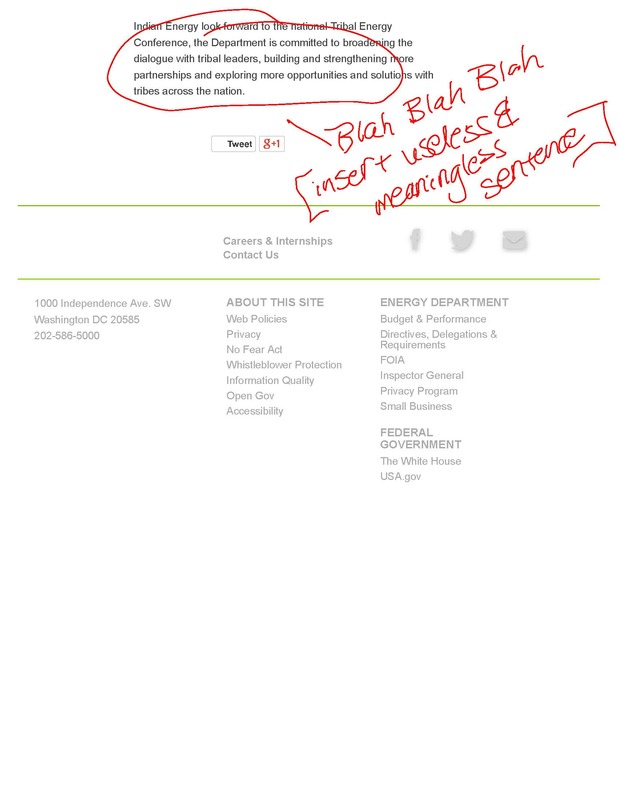 I did, however, just for kicks, add a few words of my own. Moniz is lucky to have gotten out of their state alive, in my opinion. Next Florida, tell your PSC and Duke Energy: No fracking way!